Kale is loaded with vitamin K. In addition to the benefits typical of the cruciferous vegetables, kale also provides a flavonoid called kaempferol that appears to decrease the risk of heart disease. In one 8-year scientific study, kaempferol, in combination with the flavonoids quercetin and myricetin, reduced the risk of pancreatic cancer by 23 percent. Kale is full of antioxidant vitamins A and C, as well as numerous carotenoids, including beta-carotene, lutein, and zeaxanthin. These compounds help protect vision and lower the risk of cataracts and age-related macular degeneration. It is also an excellent source of B vitamins, including thiamine, riboflavin, and B6, and the minerals calcium and iron. What are Side Effects of Eating Kale Too Much? 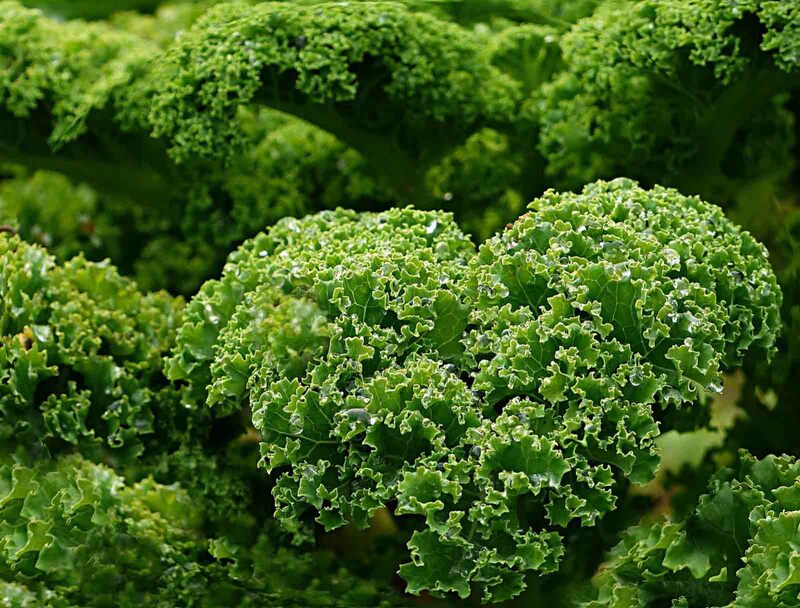 Kale is one of a small number of foods that contain measurable amounts of oxalates, so over-eating can cause problems for those with kidney disease, rheumatoid arthritis, vulvar pain, gout, or other conditions that may require a low-oxalate diet. Another Provincetown classic inspired by the late Howard Mitcham, an unpretentious, brilliant Cape Cod cook and writer whose Provincetown Seafood Cookbook is an out-of-print treasure worth snatching up at any price. Mitcham used white pea beans, better known as navy beans, in his version. 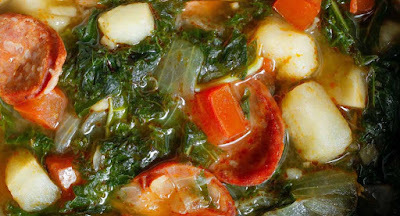 Kale Soup is very popular Portuguese dish, but it is often mistaken for Caldo Verde soup. There are many variations of this recipe. Some cooks add red beans, white beans, chick peas or even pasta. If you prefer a thicker style broth, let the soup cook for at least one hour on simmer for the vegetables to dissolve creating a thicker soup. In this recipe, kidney beans were used. If you don’t like kale you can substitute using collard greens. 1) In a large, heavy-bottom stockpot, soak the kidney beans for 12 hours in plenty of cold water, or cover the dry beans with 4 cups of water and bring to a rapid boil. Cover the pot, remove from the heat, and let sit for 90 minutes undisturbed. Drain. 2) In a clean stockpot, combine the soaked and/or cooked and drained beans and the ham hock and cover with the stock. Add 1 quart water. 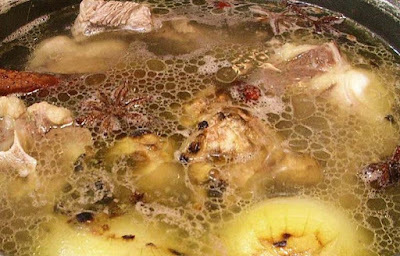 Bring to a boil, then reduce to a simmer and cook for 1 hour, using a slotted spoon or ladle to skim off and discard any scum that rises to the surface. 3) Add the chouriço, linguiça, and kale, and simmer for another hour. 4) Add the potatoes, pepper flakes, and vinegar, and season to taste with salt and pepper. Simmer for at least another hour, adding more stock or water as needed to keep all the ingredients submerged. The longer the soup simmers, the better the flavor; Howard Mitcham calls for a minimum of 5 hours. Kale Nutritional Composition. 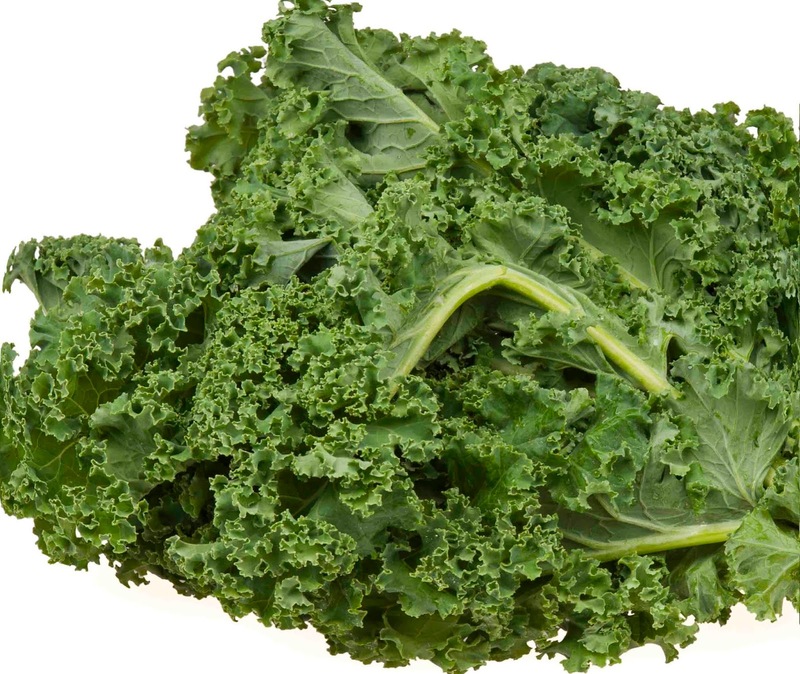 One-half cup of cooked, chopped kale provides 21 calories, 3.7 g carbohydrate, 1.2 g protein, 0.3 g fat, 1.3 g dietary fiber, 4810 IU vitamin A, 27 mg vitamin C, 9 mcg folic acid, 148 mg potassium, 15 mg sodium, 18 mg phosphorus, 47 mg calcium, and 12 mg magnesium. How to Buy Fresh Kale? While several varieties of kale are grown in Portugal, the most popular, and the only one used in caldo verde or sopa de couve, is couve galega. The leaves are ideal for cutting into the whisker-thin shavings for the soup. a) Fresh kale should have firm, very dark green leaves with no brown or dry spots. Smaller leaves will be less tough and strong-flavored than large ones. b) Don’t wash kale before storing it in the fridge. It will keep for a few days, though the flavor becomes more bitter the longer it is stored. c) For a less bitter experience, trim away not only the stems but the central vein on each leaf. d) Fresh kale is available at farmer’s markets in the eastern United States near the end of summer and through the winter in California. e) Kale, mustard greens, collard greens, Swiss chard, and dandelion greens can all be used more or less interchangeably in recipes. This is one of Anthony Bourdain’s recipes from Appetites: A Cookbook. You can also download his other best-selling book, click here now to get a complimentary copy before the promo is gone… Kitchen Confidential: Adventures in the Culinary Underbelly. Veal bones are good. Stock and demi-glace made from roasted veal bones are even savory. Veal stock made from unroasted bones (which they claim is less bitter), or “demi-glace” made from roasted chicken bones. Chicken bones are certainly easier to come by. What follows is a perfectly serviceable recipe for universal stock. I encourage you to load your freezer with small containers of it. It’s as versatile as a blank canvas—a perfect background waiting for you to fill. As a rule of thumb, you will be reducing this stock with red wine, straining it through a fine-mesh sieve, and infusing or garnishing with appropriate elements depending on the main ingredient. If, for instance, you’re making a sauce later for lamb, you can jack it with lamb flavor by reducing it with roasted lamb scraps, perhaps some rosemary and garlic, and some red wine. For a duck sauce, throw in some duck bones, heads, and/or feet if you have them, plus some bay leaves and maybe an orange rind. Nicely browned turkey bones and a sprig each of sage, rosemary, and thyme will customize it for turkey gravy, and pork bones, pig ears, and red wine or beer will do the job for a porky sauce. 1) Preheat the oven to 400°F. Oil 2 large roasting pans. 2) In one of the pans, toss together the chicken bones with the tomato paste and flour to more or less evenly coat. Arrange them in an even layer and roast in the oven, turning and stirring the contents occasionally to keep bones from scorching, until the bones are browned, about 60 minutes. 3) While the bones roast, in the second pan, combine the onions, carrots, and celery and roast them as well, stirring regularly, until they are browned, about 30 minutes. 4) Transfer the bones and vegetables, but not any grease or other pan residue, to a large, heavy-bottom stockpot and fill the pot with cold water. Add the thyme, parsley, bay leaves, and peppercorns and bring the mixture to a high simmer, keeping vigilant in the last few minutes and reducing the heat to a low simmer before the mixture boils. 5) Let simmer for at least 6 hours—better to let it go for 8 or 10—and use a ladle to skim off and discard the foam and oil as it rises to the top. There is no need to stir the stock as it simmers. 6) Remove the pot from the heat. Remove as many bones as you can with tongs, and discard them. Set up a sieve over a bowl or second stockpot—you may need to recruit a helper for this part, as you do not want to slip and lose everything you have just worked for—and carefully strain the stock, either by pouring it or ladling it through the sieve. Repeat the straining process a few times, until you are satisfied with the clarity of your stock. 7) Transfer the stock carefully to storage containers, and chill in the refrigerator. 8) Store in the refrigerator for up to 4 days and up to 3 months in the freezer.